Bedside point of care ultrasound is changing the rules in medicine and is rapidly becoming used by many clinical specialties. Ultrasound of the lung enables non-invasive, rapid diagnosis and day to day monitoring of many acute lung conditions such as effusion, consolidation, atelectasis, pulmonary oedema and pneumothorax. Ultrasound is more accurate than chest x-ray and doesn’t expose patients or staff to radiation and is now available on most hospital wards. 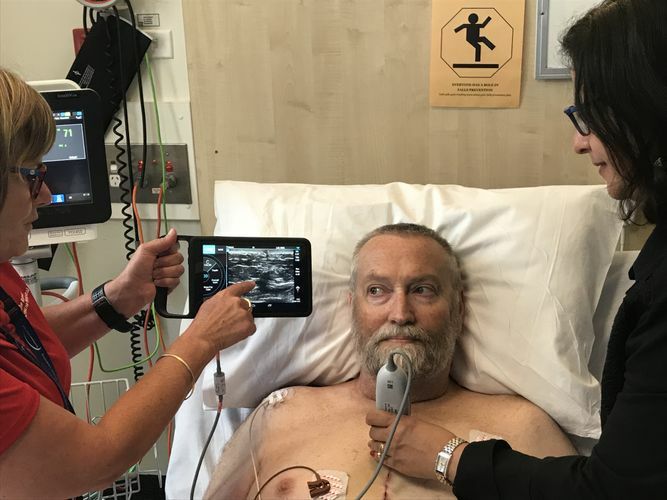 Ultrasound of the sternum enables early and accurate identification of sternal wound instability and dehiscence, which has significant implications for patient mobilisation and recovery after cardiac surgery. Learn how to perform and report ultrasound examination of the lungs and sternum in the erect and supine patient. Understand the clinical uses and limitations of ultrasound in assessment of lung pathology and sternotomy, such as pleural effusion, consolidation, atelectasis, pulmonary oedema, pneumothorax and sternal stability after sternotomy.